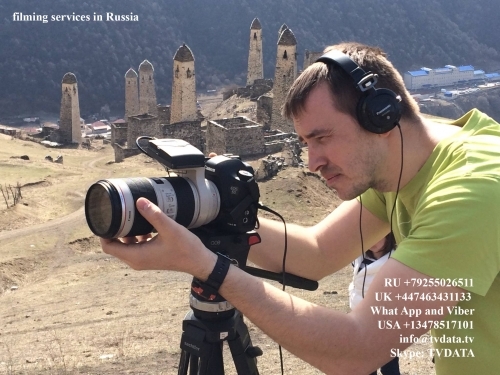 Cameraman in Ingushetia, Russian Federation. TVDATA’s Camera Crew travelling to a filming location… If you are looking for a FIXER in Russia for the filming of a Television show, a commercial or anything else. We can assist you in your media project from organising media visas to camera rentals and more. TVDATA.TV provide filming services In Russia with offices in Moscow, London and USA.